In the face of hurtful public dialogue and worldwide conflict, many Christians want to practice and experience genuine compassion. After all, centuries of Christian teachings have insisted that compassion is at the heart of the Christian life. "Love your enemies," Jesus said in Luke 6:35-36. "Do good to them. Be compassionate, just as God is compassionate." How do we become more compassionate toward others, especially our enemies? And since Jesus told us to love our neighbors as ourselves, how do we practice being compassionate toward ourselves? 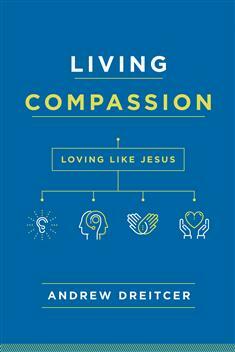 Join Andrew Dreitcer, codirector of the Center for Engaged Compassion, in exploring how certain Christian spiritual practices are compassion practices. Discover how ancient as well as contemporary practices can shape your life, helping you become more compassionate in today's world. Dreitcer introduces you to the Compassion Practice, a compassion formation process that has been developed in the last decade. Each chapter includes a "Review and Practice" section to help you apply what you learned. Uncover and learn how to express your innate compassion within you, and find out how to turn your desire for compassion into a life centered in genuine, lasting compassion.